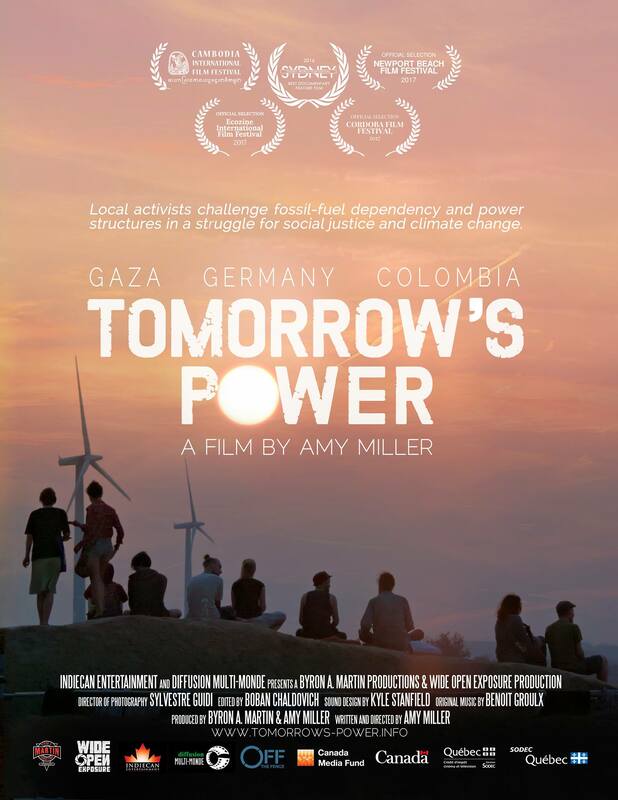 Join us Saturday, November 18, 2017 for the second screening (English sub-titles) of Amy Miller’s latest documentary, Tomorrow’s Power, at the 20th Montreal International Documentary Festival (Rencontres Internationales du Documentaire de Montréal: ridm.ca). Director Amy Miller will again be in attendance for a Q&A after the screening. The first screening was followed by a lively exchange on Sunday, Nov. 12 at the Cinéma du Parc. TOMORROW’S POWER follows stories of communities and movements intensely challenging current power structures, leading to possibilities of a future with both social and climate justice. The film takes us around the world from Gaza City, where the problem of daily energy blackouts resulting of the 11-year Israeli siege, is being tackled by health practitioners through solar power in order to provide essential care in hospitals, to war torn, oil-rich Colombia where people have been building a peace process from the bottom up. And finally to Germany, where activists are pushing the country to fully leave behind the extraction of fossil fuels and complete it’s transition to renewable energy.